Hilton & Hyland’s very own Jeff Hyland, Branden Williams, Rayni Williams, Gary Gold, Stephen Resnick and Jonathan Nash representing multiple properties selected as finalists in the 2018 HGTV Ultimate House Hunt, a month-long online promotion being held on HGTV.com from June 12 through July 17. The annual promotion curates the world’s most stunning real estate listings. This is the seventh consecutive year HGTV has aligned exclusively with Hilton & Hyland’s global real estate network Leading Real Estate Companies of the World® and its luxury marketing division Luxury Portfolio International® to host the Ultimate House Hunt, which is one of the most popular contests on HGTV.com. 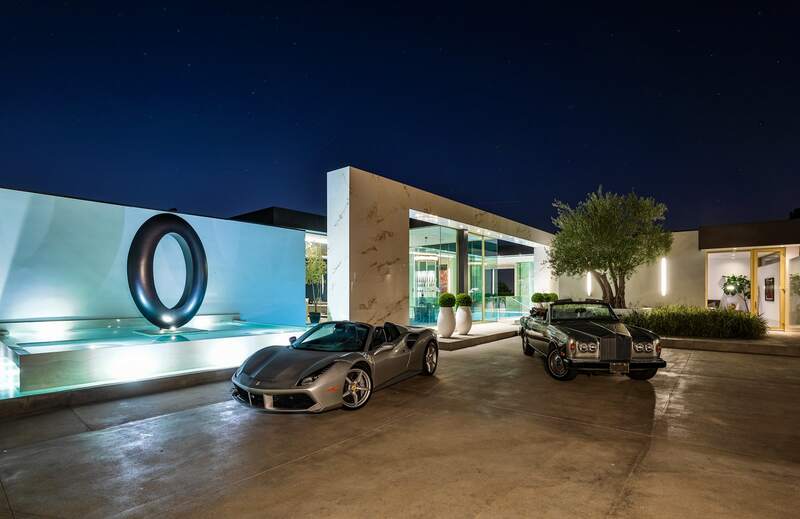 In a tour-de-force of the owner’s distinct creative vision, this nearly 12,000-square-foot residence sits on just under an acre of land and claims one of the most spectacular homesites in Los Angeles. A true model of sophistication, the modern marvel showcases unprecedented European craftsmanship and bespoke details which elevate the property to a contemporary work of art. The pinnacle of splendor and luxury, Billionaire features over four stories and 17,000-square-feet of entertainment decks. With an astonishing array of amenities ranging from a 40-seat 4K Dolby Atmost Theater, 4-lane bowling alley/lounge, 85-foot glass tile infinity swimming pool, not one but two fully stocked champagne cellars, a massage studio/wellness spa, and five bars, Billionaire is one property you have to see to believe. This Brentwood traditional will make you fall in love at first sight. 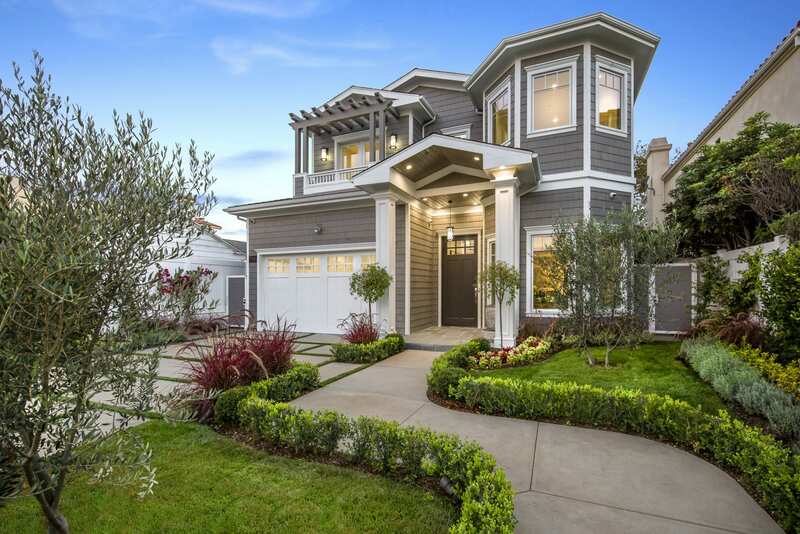 The impeccably landscaped yard and shrub-lined walkway only enhances its charm. Not to mention, the gray siding accented by its white trim gives a clean and classic look. 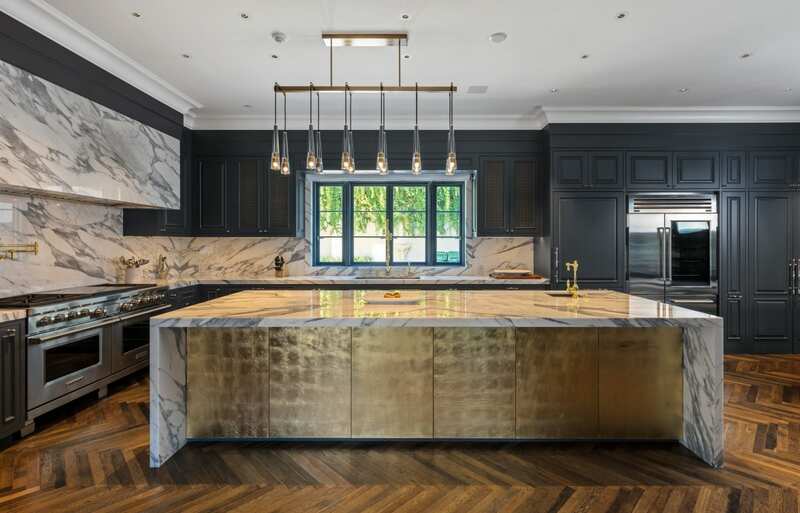 This glam art deco kitchen will not only bring family and friends together, but keep them there. Made for entertaining and designed with guests in mind, the highlight of this open floor plan kitchen is the large center island. The juxtaposition of the marble backsplash against matte black walls is just the icing on the cake. Boasting enviable, unobstructed views of Los Angeles, the two-story, three-bed, three-bath Remington Penthouse is out of this world. The crisp and chic white walls serve as the ultimate backdrop for neon-colored pop art pieces showcasing Michael Jackson, Marilyn Monroe, and Jack Nicholson to name a few. The name speaks for itself. The contemporary masterpiece offers the ultimate in both entertainment and relaxation. Modern splendor, jetliner views, and monochromatic design aside, a key theme of this house is an indoor-outdoor connection that encourages incredibly sustainable habits. Bringing the outside in, this Paul McClean-designed residence is unrivaled in space, light, and flow.